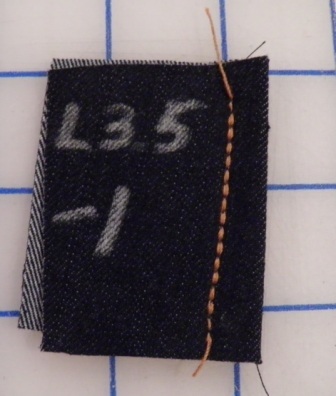 Staystitch: A regular machine stitch (usually 1/8″ parallel to the stitch line) applied while the garment is being assembled in order to support garment edges and to preserve the shape. What fun things are you working on in your studio these days? I’d love to hear from you! I may even get a few pictures up next week of some of my projects. Wheeee! If you are in the market for new patterns, now is the time to collect a few. Today (July 28th in case you are calendar-challenged) thru July 31st all McCalls and Butterick patterns are on sale for $2.99 and Vogue patterns are only $3.99! These prices are for online sales only, and it does take a few days for them to arrive, but I love it when I can score (especially) Vogue patterns for $3.99. You can bet I will be adding some of the new fall collection patterns I admired earlier to my stash. If you haven’t done so already, be sure to sign up for the McCalls/Butterick/Vogue newsletter and you will receive an email directly from them about future sales. No need to sign up on all three sites – they are owned by the same company so signing up for any one of them alerts you to sales about all three brands. Teaching sewing is a blast. I think I have the best job in the world, and have had a great time meeting so many interesting, fun people who want to learn the art of sewing. I thought you might want to meet a few of them too – cuz they are just so darn cool! Lauren has been taking lessons since January, and makes THE CUTEST clothes! She wants to be a fashion stylist, and she definitely has what it takes. She works really hard on her projects, and is completely focused on thefinal outcome – no matter how long it takes to get it the way she wants. Awesome! Wow! Youngest darling daughter! We had a blast sewing this past weekend. Crafty mom/daughter time – what could be better? 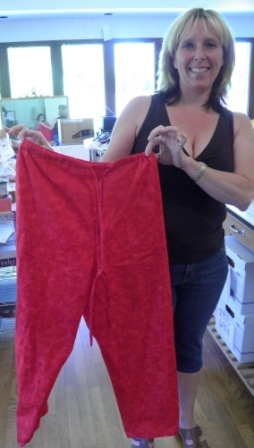 Janney is rocking the PJ pants construction here. And ta da – they are done!! Fair warning: there is going to be some serious ranting today. My youngest DD and I spent the weekend sewing for our yet-to-be-born GRANDDAUGHTER. 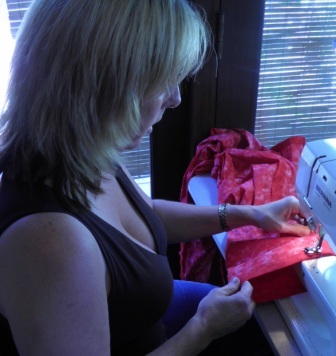 No, the ranting is not about sewing, it is about sewing instructions. Or more to the point, the lack thereof. Since we need to keep our sewing projects a surprise until the end of August, I can’t provide pictures or describe what we were making, but I can give you a little taste of our frustration. < begin rant> One of our projects was in a magazine. My youngest DD was in charge of this one, and she is gifting this to baby GD at the shower next month. She is NOT an experienced sewist. The instructions specified “cut one left” and “cut one “right”. OK – is the fabric supposed to be face up or down, and is the pattern supposed to be face up or face down? 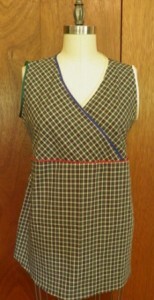 Nothing was specified on the actual pattern piece. Since there is a specific right and left pattern piece, and you do not cut them out TOGETHER because you are using different fabrics, I assumed the fabric and pattern pieces were face up. Probably my first mistake, but that is likely how the big 4 would have done it. How about the one crappy little diagram that was supposed to suffice for about 15 paragraphs of written instructions? No cutting diagram, no shading distinction for right side, wrong side, batting, etc. Crap. Total crap. There was no throwing of sharp objects, but there were some bad words said. Hopefully they were not absorbed by the very cute baby object. I wouldn’t want my darling GD to absorb any angry karma. Yes, this project did get finished. Yes, it is adorable. But the process could have been much smoother AND faster if the instructions were written more clearly. Also worked on this weekend was a project of mine for the baby shower. It is safe to say this item is outside my normal skill range. The written instructions on this were pretty good. 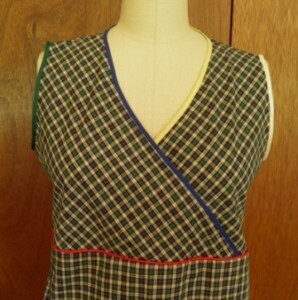 But one of the pattern pieces did not have the seam allowances included. Only ONE ^&%#$(*&$ pattern piece!!! All the other pattern pieces included seam allowances! Why in the h-e-double-hockey-stick was it omitted from one stupid pattern piece, with a big note to add the SA in at the top of the page. That I did not notice until I had cut out and completed 4 of five said items?? When I realized this error, there were some VERY SERIOUS bad words uttered. I am very sorry, darling GD. I will wash them out of your adorable baby gift. So go sew. 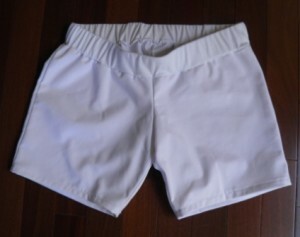 Practice sewing today. And then tell me about it. Send me a picture. Write a comment on my blog. And then go practice some more. I admit it. I am going a little nuts. Well, I am perfectly entitled since my eldest DD is pregnant with my FIRST GRANDCHILD! And it’s a girl! I am holding back (momentarily) on making baby clothes so I can concentrate on getting a few maternity outfits made for said DD. She lives in New York, and in case you missed the news lately, it has been wicked hot back east. ANYWAY….the patterns are pretty awful for maternity clothes, so I have been trying to spice things up a little for her. She is a freelance photographer, so she doesn’t need a wardrobe of office appropriate clothing. Instead, she mostly needs comfy clothes to work from home, with a few “client suitable” ensembles. I think this blue and green plaid sleeveless top looks pretty darn cute with blue, green, yellow and cream binding and red piping detail. What do you think? 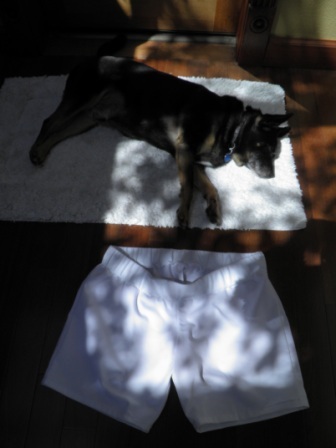 Awww, somebody else in the family wanted to be featured in the blog today. Or at least couldn’t be bothered to get out of the shot! Hey, have you ever adjusted the balance on your sewing machine? Maybe I should ask, do you know WHERE the balance adjustment setting is on your machine? OK, do you even HAVE a balance adjustment on your machine? 🙂 I never had used mine, before today anyway. 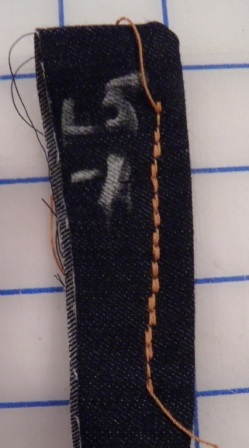 I was trying to emulate the heavier topstitching look that you get in RTW by using the triple stitch on my 1260 Bernina. I had jeans thread in the top, regular poly in the bobbin, and was running some samples with various stitch lengths. The stitch was a little wonky because the needle was not striking in exactly the same spot every time. Thank goodness I mentioned my problem to Mary at Sewing Machine Service, because she had the answer for me. The balance setting! Adjusting the balance setting allows you to make micro-adjustments to the stitch length, and that was all it took. Brilliant! Take a look at these different samples. Here is my first attempt. I used the longest stitch length, and clicked my “negative balance” button twice. Bleah. Not good. The second sample was not much better. Ummm, maybe worse. I kept the stitch length the same, but changed my balance setting so it was only a single “minus” click away from normal. Still not right. Attempt number 3. 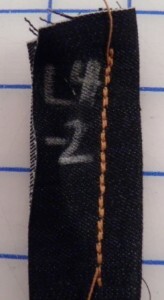 This time I shortened the stitch length. Ahhh, getting better. And ladies and gentlement, here is the winning sample! A stitch length of 3.5 and a single “minus” click on the balance setting and I think it looks pretty darn good. 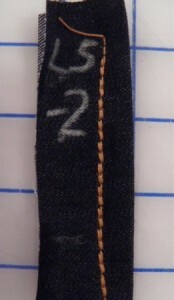 Definitely looks much more like RTW jeans topstitching than a plain single stitch. Sheesh, that took some experimentation, but I LIKE it! After the very disappointing designs from McCalls, I am thrilled with the fresh, interesting patterns from Vogue for this fall. I have included a few of my favorites below, but be sure to visit your local fabric store to see the entire catalogue, or browse online in the New Collection Preview. I could have shown you lots more that I like, but I wanted to save a few surprises for you when you browse the full collection yourself. Enjoy! I might not be the correct age range for this one, but definitely love, love, love! Ohhh, I gotta make this one. I LOVE the collar and the wide bateau neckline. Sooooo flattering! It is not very visible in this print fabric, but the lines on this dress are gorgeous. 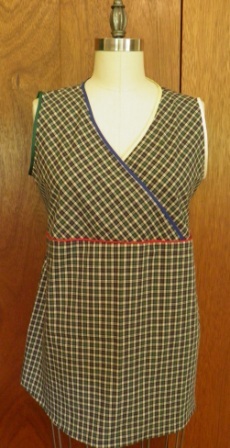 And love the sleeve zips! Ultra wearable. Depending on the fabric this could go from office to evening in a blink. I know I should be over ruffles by now, but what a pretty, feminine blouse. Wow – even a new man’s shirt! Wow. Thank you Vogue! You definitely gave me some inspiration for the fall! I create actual “things”. Sometimes they are useful. Sometimes they are pur-tay. Sometimes both! I get to operate really cool power tools. My wardrobe is uniquely mine. I never arrive at an event wearing the same dress as anyone else. I get to play with color. And texture. Pattern and design lines, too. It’s called “making art”. I use my whole brain. I do math, draw pattern and design lines, test out color combinations, solve construction problems, adjust fit, and lots more on most garments. I learn new stuff – really often. Maybe not on every garment, but almost! Sometimes I get to make important garments for people I love. Like christening gowns, or wedding dresses, or prom dresses. And then the memory of that special celebration is even richer. What about you? What would your list look like? 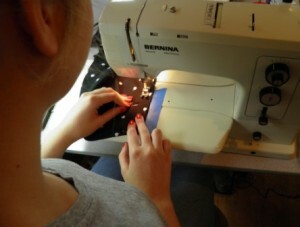 Have you ever attempted a sewing machine repair at home? Not me! I love my mechanics and am very happy to turn over the complex repair/tune-up process to them. 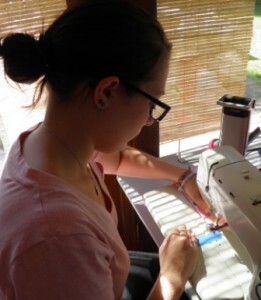 I double-heart all my sewing machines (yes, I do have, errrr, more than one! ), and I take a lot of pride in the fact that my oldest machine (36 years) still runs like a top. There is about nothing more frustrating to me than sitting down to use a machine, sewing or otherwise, and have it not work properly. Ask anyone in my family – they have all witnessed a few (more than a few?) explosions over the years when some @&^%$# machine was malfunctioning. I do own mostly Berninas, which are very well-made , but I also make it a point to take extremely good care of all my machines. They get an annual check-up, same as me. I am worth some preventative maintenance, and so are they. I believe that finding a great dealer/repair shop is an important part of keeping a sewing machine in top running order. Just as you have to put some time, effort, and money into maintaining your car, the same goes for your sewing machine if you expect it to perform for you. Ask around. 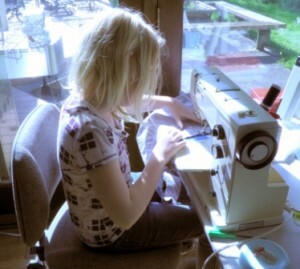 If you are lucky enough to live in a place where sewing is still taught in schools, find out who maintains the sewing machines for your local school district. Go talk to the dealers yourself. You will be establishing a relationship with this dealership, so find out if you like how they treat you. Do they always provide estimates? Do they provide good advice about the “value” of repairing an older or less expensive model? If you are not that knowledgeable about machines, will they take the time and trouble to explain problems and concerns in a way you can understand? You are not having a one-night stand with your repair shop, you want a committed relationship. Make sure you are as happy with their service as they are to get your business! Check online reviews, BUT, take this information with a grain of salt. You never know how reliable it actually is. My favorite dealer on the Eastside? Hands down, Sewing Machines Service in Renton wins my heart for friendly, courteous, knowledgeable, fast service. They totally rock, and if you haven’t tried them and your machine needs a tune-up, get your bad self on down there and see Cevin. You’ll be very glad you did.